Whenever winter comes, it’s always the season to pull out your skis, snowboards, and obviously, your snowshoes. Whether you consider yourself an avid outdoorsman or woman, if you live in or frequently visit locations where it frequently snows, it is important to have a pair of snowshoes in your closet. Many would argue that they don’t go skiing or prefer to stay indoors during winter, but to be honest, those are not good enough reason to not have a pair snowshoes. Yes, your activity matters. In fact, this is the most important factor of all. Like many other types of footwear, your activities will determine the snowshoe you should get. Are you an active person in the winter? How important is the outdoors for you? 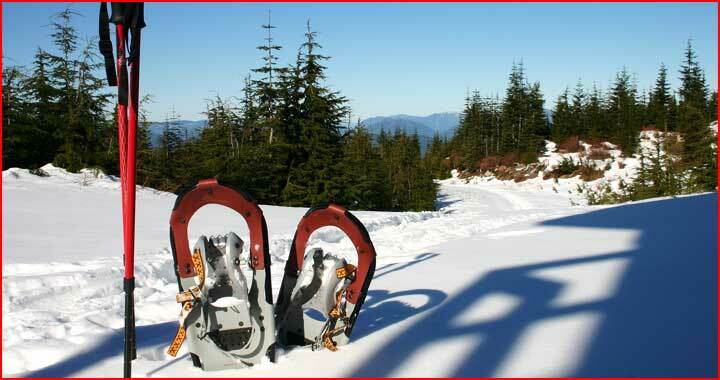 But even if you have tried to keep your outdoor activities to a minimum, it is still a good idea to purchase a pair of snowshoes to have on hand in the event you do venture out into the snow. If you are a highly active person who loves to jog and exercise, then you would want to get a snowshoe that fits close to your actual shoe size. But if you frequently venture into the mountains or do a lot of backwoods hiking this winter, you have to get a bigger one, ranged at 26-33 inches length. This bigger snowshoe will protect your feet while making it easier to conquer the terrain. You also can use your bodyweight as your guide to determine the correct size. In general, for every pound, a quarter inch square is needed to hold the weight. No need to worry, there are some manufacturers who already use bodyweight as their reference. All you need to do is adjust your snowshoe preference with your activities. Unfortunately, snowshoes can’t be quite as fashionable or stylish as other types of footwear. It’s used based on utility and the performance is their best value. However, you still can show your personality through your snowshoe choice. You have the option to get traditional or modern styles. The material used is what makes the difference. Snowshoes have shifted from pure utility to something more fashionable. These new shoes probably won’t show up on the runways any time soon, but snowshoes sure have come a long way, now offering several more varieties than available two decades ago. Now you don’t have to worry about your snowshoe size. As long as you are following the general rule to fit your shoes based on body weight and activity, you know that you have plenty of options out there. Every pound requires a quarter inch square of surface space to carry the load. If you’re activities include running, opt for a shorter snowshoe. But if you often hike in deep snow like running a shorter snowshoe, more hiking deep snow a longer snowshoe. Now that you know how to pick the size of snowshoe you need, look at our guide to find that perfect pair.